Invention of the microscope was a consequence of improved understanding, during the Renaissance. Prior to the 19th century, humorism (also known as humoralism) was thought to explain the cause of disease but it was gradually replaced by the germ theory of disease, leading to effective treatments and even cures for many infectious diseases. Military doctors advanced the methods of trauma treatment and surgery. Public health measures were developed especially in the 19th century as the rapid growth of cities required systematic sanitary measures. Advanced research centers opened in the early 20th century, often connected with major hospitals. The mid-20th century was characterized by new biological treatments, such as antibiotics. These advancements, along with developments in chemistry, genetics, and radiography led to modern medicine. Medicine was heavily professionalized in the 20th century, and new careers opened to women as nurses (from the 1870s) and as physicians (especially after 1970). Finally in the 19th century, Western medicine was introduced at the local level by Christian medical missionaries from the London Missionary Society (Britain), the Methodist Church (Britain) and the Presbyterian Church (US). Benjamin Hobson (1816–1873) in 1839, set up a highly successful Wai Ai Clinic in Guangzhou, China. The Hong Kong College of Medicine for Chinese was founded in 1887 by the London Missionary Society, with its first graduate (in 1892) being Sun Yat-sen, who later led the Chinese Revolution (1911). The Hong Kong College of Medicine for Chinese was the forerunner of the School of Medicine of the University of Hong Kong, which started in 1911. The Islamic civilization rose to primacy in medical science as its physicians contributed significantly to the field of medicine, including anatomy, ophthalmology, pharmacology, pharmacy, physiology, surgery, and the pharmaceutical sciences. The Arabs were influenced by ancient Indian, Persian, Greek, Roman and Byzantine medical practices, and helped them develop further. Galen & Hippocrates were pre-eminent authorities. 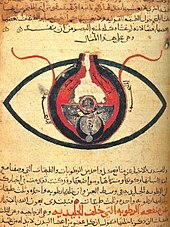 The translation of 129 of Galen's works into Arabic by the Nestorian Christian Hunayn ibn Ishaq and his assistants, and in particular Galen's insistence on a rational systematic approach to medicine, set the template for Islamic medicine, which rapidly spread throughout the Arab Empire. while Europe was in its Dark Ages, Islam expanded in West Asia and enjoyed a golden age. Its most famous physicians included the Persian polymaths Muhammad ibn Zakariya al-Razi and Avicenna, who wrote more than 40 works on health, medicine, and well-being. Taking leads from Greece and Rome, Islamic scholars kept both the art and science of medicine alive and moving forward. Persian polymath Avicenna has also been called the "father of medicine". He wrote The Canon of Medicine which became a standard medical text at many medieval European universities, considered one of the most famous books in the history of medicine. The Canon of Medicine presents an overview of the contemporary medical knowledge of the medieval Islamic world, which had been influenced by earlier traditions including Greco-Roman medicine (particularly Galen), Persian medicine, Chinese medicine and Indian medicine. Persian physician Muhammad ibn Zakarīya Rāzi was one of the first to question the Greek theory of humorism, which nevertheless remained influential in both medieval Western and medieval Islamic medicine. Some volumes of Muhammad ibn Zakarīya Rāzi's work Al-Mansuri, namely "On Surgery" and "A General Book on Therapy", became part of the medical curriculum in European universities. Additionally, he has been described as a doctor's doctor, the father of pediatrics, and a pioneer of ophthalmology. For example, he was the first to recognize the reaction of the eye's pupil to light. Greek and Roman taboos had meant that dissection was usually banned in ancient times, but in the Middle Ages it changed: medical teachers and students at Bologna began to open human bodies, and Mondino de Luzzi (c. 1275–1326) produced the first known anatomy textbook based on human dissection. English physician Thomas Percival (1740–1804) wrote a comprehensive system of medical conduct, Medical Ethics; or, a Code of Institutes and Precepts, Adapted to the Professional Conduct of Physicians and Surgeons (1803) that set the standard for many textbooks. The First Viennese School of Medicine, 1750–1800, was led by the Dutchman Gerard van Swieten (1700–1772), who aimed to put medicine on new scientific foundations—promoting unprejudiced clinical observation, botanical and chemical research, and introducing simple but powerful remedies. 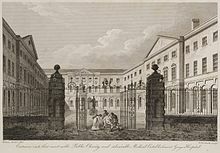 When the Vienna General Hospital opened in 1784, it at once became the world's largest hospital and physicians acquired a facility that gradually developed into the most important research centre. Progress ended with the Napoleonic wars and the government shutdown in 1819 of all liberal journals and schools; this caused a general return to traditionalism and eclecticism in medicine. From the early nineteenth century, as lay-led lunacy reform movements gained in influence, ever more state governments in the West extended their authority and responsibility over the mentally ill. Small-scale asylums, conceived as instruments to reshape both the mind and behaviour of the disturbed, proliferated across these regions. 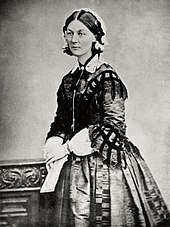 By the 1830s, moral treatment, together with the asylum itself, became increasingly medicalised and asylum doctors began to establish a distinct medical identity with the establishment in the 1840s of associations for their members in France, Germany, the United Kingdom and America, together with the founding of medico-psychological journals. Medical optimism in the capacity of the asylum to cure insanity soured by the close of the nineteenth century as the growth of the asylum population far outstripped that of the general population. [a] Processes of long-term institutional segregation, allowing for the psychiatric conceptualisation of the natural course of mental illness, supported the perspective that the insane were a distinct population, subject to mental pathologies stemming from specific medical causes. As degeneration theory grew in influence from the mid-nineteenth century, heredity was seen as the central causal element in chronic mental illness, and, with national asylum systems overcrowded and insanity apparently undergoing an inexorable rise, the focus of psychiatric therapeutics shifted from a concern with treating the individual to maintaining the racial and biological health of national populations. During the second World War, Alexis Carrel and Henry Dakin developed the Carrel-Dakin method of treating wounds with an irrigation, Dakin's solution, a germicide which helped prevent gangrene. Public health measures become particular important during the 1918 flu pandemic, which killed at least 50 million people around the world. It became an important case study in epidemiology. Bristow shows there was a gendered response of health caregivers to the pandemic in the United States. Male doctors were unable to cure the patients, and they felt like failures. Women nurses also saw their patients die, but they took pride in their success in fulfilling their professional role of caring for, ministering, comforting, and easing the last hours of their patients, and helping the families of the patients cope as well. The World Health Organization was founded in 1948 as a United Nations agency to improve global health. In most of the world, life expectancy has improved since then, and was about 67 years as of 2010[update], and well above 80 years in some countries. Eradication of infectious diseases is an international effort, and several new vaccines have been developed during the post-war years, against infections such as measles, mumps, several strains of influenza and human papilloma virus. The long-known vaccine against Smallpox finally eradicated the disease in the 1970s, and Rinderpest was wiped out in 2011. Eradication of polio is underway. Tissue culture is important for development of vaccines. Though the early success of antiviral vaccines and antibacterial drugs, antiviral drugs were not introduced until the 1970s. Through the WHO, the international community has developed a response protocol against epidemics, displayed during the SARS epidemic in 2003, the Influenza A virus subtype H5N1 from 2004, the Ebola virus epidemic in West Africa and onwards. Cardiac surgery was revolutionized in 1948 as open-heart surgery was introduced for the first time since 1925. ^ "Stone age man used dentist drill". 6 April 2006 – via news.bbc.co.uk. ^ "Neolithic Surgery – Archaeology Magazine Archive". archive.archaeology.org. ^ a b c d e f Black, Jeremy; Green, Anthony (1992). Gods, Demons and Symbols of Ancient Mesopotamia: An Illustrated Dictionary. The British Museum Press. p. 102. ISBN 978-0-7141-1705-8. ^ a b c d e f g McIntosh, Jane R. (2005). Ancient Mesopotamia: New Perspectives. Santa Barbara, California, Denver, Colorado, and Oxford, England: ABC-CLIO. pp. 273–76. ISBN 978-1-57607-966-9. ^ a b c d e Farber, Walter (1995). Witchcraft, Magic, and Divination in Ancient Mesopotamia (PDF). Civilizations of the Ancient Near East. 3. New York: Charles Schribner’s Sons, MacMillan Library Reference, Simon & Schuster MacMillan. pp. 1891–908. ISBN 978-0-684-19279-6. Archived from the original (PDF) on 2018-01-13. Retrieved 2018-05-12. ^ Humanity, History of. "Geography – Mesopotamia". 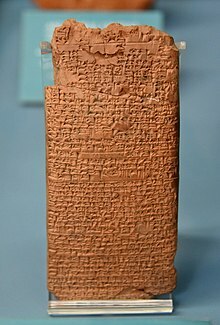 www.ancientmesopotamia.org. Archived from the original on 2018-11-27. Retrieved 2018-12-19. ^ Heeßel, N. P. (2004). "Diagnosis, Divination, and Disease: Towards an Understanding of the Rationale Behind the Babylonian Diagonostic Handbook". In Horstmanshoff, H.F. .; Stol, Marten; Tilburg, Cornelis. Magic and Rationality in Ancient Near Eastern and Graeco-Roman Medicine. Studies in Ancient Medicine. 27. Leiden, The Netherlands: Brill. pp. 97–116. ISBN 978-90-04-13666-3. ^ a b c d e f Nemet-Nejat, Karen Rhea (1998). Daily Life in Ancient Mesopotamia. Daily Life. Santa Barbara, California: Greenwood. pp. 80–81. ISBN 978-0-313-29497-6. ^ Herodotus. "Chapter 77, Book II". The Histories. ^ "Edwin Smith papyrus – Britannica Online Encyclopedia". Britannica.com. Retrieved 2012-04-21. ^ a b c Bynum, W.F. (2006). "The Rise of Science in Medicine, 1850–1913". The Western Medical Tradition: 1800–2000. Hardy, Anne; Jacyna, Stephen; Lawrence, Christopher; Tansey, E.M. Cambridge University Press. pp. 198–99. ISBN 978-0-521-47565-5. ^ "Museum: House of Life". www.ucl.ac.uk. Retrieved 2017-02-17. ^ TJ Hinrichs; Linda L Barnes; et al. (2012). 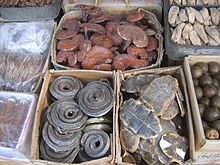 Chinese Medicine and Healing: An Illustrated History. Harvard University Press. p. 197. ISBN 978-0-674-04737-2. ^ Edward T. James; et al., eds. (1971). Notable American Women, 1607–1950: A Biographical Dictionary. Harvard U.P. pp. 685–86 vol 2. ISBN 978-0-674-62734-5. ^ a b Risse, G.B. (1990). Mending bodies, saving souls: a history of hospitals. Oxford University Press. p. 56. ISBN 978-0-19-974869-3. ^ a b Askitopoulou, H.; Konsolaki, E.; Ramoutsaki, I.; Anastassaki, E. (2002). Surgical cures by sleep induction as the Asclepieion of Epidaurus. The history of anesthesia: proceedings of the Fifth International Symposium, by José Carlos Diz, Avelino Franco, Douglas R. Bacon, J. Rupreht, Julián Alvarez. Elsevier Science B.V., International Congress Series 1242. pp. 11–17. ISBN 978-0-444-51293-2. ^ "The Father of Modern Medicine: Hippocrates". 2008-02-28. Archived from the original on 2008-02-28. Retrieved 2012-04-21. ^ "What is finger clubbing?". Cancer Research UK. Retrieved 30 December 2015. ^ Shakespeare, William. Henry V. p. Act II, Scene 3. ^ Silverberg, Robert (1967). The dawn of medicine. Putnam. Retrieved 16 January 2013. ^ Loudon, Irvine (2002-03-07). Western Medicine: An Illustrated History. Oxford University Press. ISBN 978-0-19-924813-1. Retrieved 16 January 2013. ^ Nutton, Vivian (2012). Ancient Medicine. Routledge. ISBN 978-0-415-52094-2. Retrieved 16 January 2013. ^ Longrigg, James (1993). Greek Rational Medicine: Philosophy and Medicine from Alcmaeon to the Alexandrians. Psychology Press. ISBN 978-0-415-02594-2. Retrieved 16 January 2013. ^ Susan P. Mattern (2013). The Prince of Medicine: Galen in the Roman Empire. ISBN 978-0-19-998615-6. ^ Faith Wallis (2010). Medieval Medicine: A Reader. pp. 14, 26, 222. ISBN 978-1-4426-0103-1. ^ a b Numbers, Ronald (2009). Galileo Goes to Jail and Other Myths About Science and Religion. Harvard University Press. p. 45. ISBN 978-0-674-03327-6. ^ a b "Debunking a myth". 7 April 2011. ^ "Surgical Instruments from Ancient Rome". Healthsystem.virginia.edu. Archived from the original on 2008-01-31. Retrieved 2012-04-21. ^ "Roman period surgery set on show". BBC. 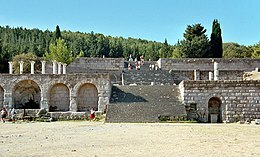 ^ "The Romans carried out cataract ops". 9 February 2008 – via news.bbc.co.uk. ^ "Greek Medicine". US National Institutes of Health. 16 September 2002. Retrieved 29 August 2014. ^ "Encyclopedia Iranica; Avicenna: Medicine and Biology". Retrieved 20 December 2013. ^ Vecchio Ignazio; Tornali Cristina; Rampello L; Migliore M; Rigo G.S., Armocida G. Jewish medicine and surgery in Catania, Italy before 1492. pp. 359–62. 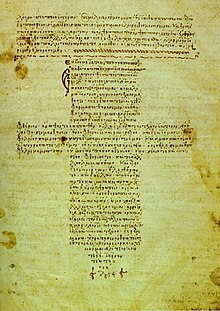 In Acta Medica Mediterranea. ISSN 0393-6384 vol. 29 (3):2013 University of Catania and University of Insubria. ^ Nicola Barber (2012). Medieval Medicine. Heinemann-Raintree Library. p. 13. ISBN 978-1-4109-4661-4. ^ Robert Krieger (2001). Handbook of Pesticide Toxicology. Academic Press. pp. xxvii–xxviii. ^ Lo Presti, Roberto (2010). "Anatomy as Epistemology: The Body of Man and the Body of Medicine in Vesalius and his Ancient Sources (Celsus, Galen)". Renaissance and Reformation/Renaissance et Reforme. 33 (3): 27–60. ^ C. Scott Dixon; et al. (2009). Living With Religious Diversity in Early-Modern Europe. Ashgate. pp. 128–30. ISBN 978-0-7546-6668-4. ^ Andrew Cunningham; Ole Peter Grell (2002). Health Care and Poor Relief in Protestant Europe 1500–1700. Routledge. pp. 130–33. ISBN 978-0-203-43134-4. ^ Virpi Mäkinen (2006). Lutheran Reformation And the Law. Brill. pp. 227–29. ISBN 978-90-04-14904-5. ^ Keir Waddington (2003). Medical Education at St. Bartholomew's Hospital, 1123–1995. Boydell & Brewer. p. 18. ISBN 978-0-85115-919-5. ^ Michael Marks Davis; Andrew Robert Warner (1918). Dispensaries, Their Management and Development: A Book for Administrators, Public Health Workers, and All Interested in Better Medical Service for the People. MacMillan. pp. 2–5. ^ "The Global Public–Private Partnership for Handwashing". globalhandwashing.org. Retrieved 2015-04-18. ^ a b c d e Guénel, Annick (Jan 1999). "The creation of the first overseas Pasteur Institute, or the beginning of Albert Calmette's Pastorian career". Medical History. 43 (1): 1–25 [1–2]. doi:10.1017/s0025727300064693. PMC 1044108. PMID 10885131. ^ Henry Walter Morton (1984). The Contemporary Soviet City. M.E. Sharpe. pp. 142–45. ISBN 978-0-87332-248-5. ^ Paula Sutter Fichtner (2009). Historical Dictionary of Austria. Scarecrow Press. pp. 326–27. ISBN 978-0-8108-6310-1. ^ George Worthington Adams, Doctors in Blue: The Medical History of the Union Army in the Civil War (1996), excerpt and text search; Glenna R. Schroeder-Lein, The Encyclopedia of Civil War Medicine (2012) excerpt and text search. ^ John Keegan (17 Sep 2009). "The American Civil War: the gruesome suffering of soldiers exposed". Daily Telegraph. Retrieved 4 March 2017. ^ Brian S. Everitt; Christopher Palmer (2011). Encyclopaedic Companion to Medical Statistics. Wiley. pp. 447–48. ISBN 978-1-119-95740-9. ^ Joseph Patrick Byrne; Plagues (2008). Encyclopedia of Pestilence, Pandemics. ABC-CLIO. p. 339. ^ Derek S. Linton (2005). 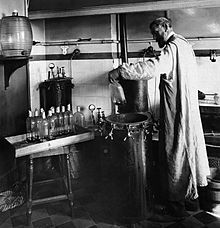 Emil Von Behring: Infectious Disease, Immunology, Serum Therapy. American Philosophical Society. p. 57. ISBN 978-0-87169-255-9. ^ Lynteris, Christos (2011). "From Prussia to China: Japanese Colonial Medicine and Got o Shinpei's Combination of Medical Police and Local Self-Administration". Medical History. 55 (3): 343–47. doi:10.1017/s0025727300005378. PMC 3143861. PMID 21792258. ^ Porter, Roy (1999). The Greatest Benefit to Mankind: A Medical History of Humanity from Antiquity to the Present. London: Fontana. p. 493. ISBN 978-0-393-31980-4. ; Porter, Roy (1992). "Madness and its Institutions". In Wear, Andrew. Medicine in Society: Historical Essays. Cambridge: Cambridge University Press. pp. 277–302. ISBN 978-0-521-33639-0. ; Suzuki, A. (1991). "Lunacy in seventeenth- and eighteenth-century England: Analysis of Quarter Sessions records Part I". History of Psychiatry. 2 (8): 437–56. doi:10.1177/0957154X9100200807. PMID 11612606. ; Suzuki, A. (1992). "Lunacy in seventeenth- and eighteenth-century England: Analysis of Quarter Sessions records Part II". History of Psychiatry. 3 (9): 29–44. doi:10.1177/0957154X9200300903. PMID 11612665. ^ Porter, Roy (1992). "Madness and its Institutions". In Wear, Andrew. Medicine in Society: Historical Essays. Cambridge: Cambridge University Press. pp. 277–302. ISBN 978-0-521-33639-0. ; Goldstein, Jan (2001) . Console and Classify: The French Psychiatric Profession in the Nineteenth Century. Chicago & London: University of Chicago Press. p. 42. ISBN 978-0-226-30160-0. ; Grob, Gerald N. (1994). Mad Among Us. Simon and Schuster. pp. 25–30. ISBN 978-1-4391-0571-9. ^ Porter, Roy (2004). Madmen: a social history of madhouses, mad-doctors & lunatics. Tempus. pp. 57–76, 239–44, 257–312. ISBN 978-0-7524-3730-9. ; Hayward, Rhodri (2011). "Medicine and the Mind". In Jackson, Mark. The Oxford Handbook of the History of Medicine. Oxford University Press. pp. 524–42. ISBN 978-0-19-954649-7. ^ Bynum, W.F. (1974). "Rationales for therapy in British psychiatry: 1780–1835". Medical History. 18 (4): 317–34. doi:10.1017/s0025727300019761. PMC 1081592. PMID 4618306. ; Digby, Anne (1988). "Moral Treatment at the Retreat 1796–1846". In Porter, Roy; Bynum, W.F. ; Shepherd, Michael. The Anatomy of Madness: Essays in the History of Psychiatry. 2. London & New York: Tavistock. pp. 52–71. ISBN 978-0-415-00859-4. ^ Weiner, Dora B. (1994). " 'La geste du Pinel': The History of a Psychiatric Myth". In Micale, Mark S.; Porter Roy. Discovering the History of Psychiatry. New York & Oxford: Oxford University Press. pp. 232–47. ISBN 978-0-19-507739-1. ^ Porter, Roy (1992). "Madness and its Institutions". In Wear, Andrew. Medicine in Society: Historical Essays. Cambridge: Cambridge University Press. pp. 277–302. ISBN 978-0-521-33639-0. ^ a b Marx, Otto M. (1994). "The Beginning of Psychiatric Historiography in Nineteenth-Century Germany". In Micale, Mark S.; Porter Roy. Discovering the History of Psychiatry. New York & Oxford: Oxford University Press. pp. 39–51. ISBN 978-0-19-507739-1. ^ a b Hayward, Rhodri (2011). "Medicine and the Mind". In Jackson, Mark. The Oxford Handbook of the History of Medicine. Oxford University Press. pp. 524–42. ISBN 978-0-19-954649-7. ^ Andrews, Jonathan (2004). "The Rise of the Asylum in Britain". In Brunton, Deborah. Medicine Transformed: Health, Disease and Society in Europe 1800–1930. Manchester University Press. pp. 298–330. ISBN 978-0-7190-6735-8. ; Porter, Roy (2003). "Introduction". In Porter, Roy; Wright, David. The Confinement of the Insane: International Perspectives, 1800–1965. Cambridge University Press. pp. 1–19. ISBN 978-1-139-43962-6. ^ Cooter, R.J. (1976). "Phrenology and British alienists, c. 1825–1845. Part I: Converts to a doctrine". Medical History. 20 (1): 1–21. doi:10.1017/s0025727300021761. PMC 1081688. PMID 765647. ; Cooter, R.J. (1976). "Phrenology and British alienists, c. 1825–1845. Part II: Doctrine and practice". Medical History. 20 (2): 135–51. doi:10.1017/s0025727300022195. PMC 1081733. PMID 781421. ^ Shorter, Edward (1997). A history of psychiatry: from the era of the asylum to the age of Prozac. John Wiley & Sons. pp. 46–48. ISBN 978-0-471-15749-6. ; Bynum, W.F. (2006). "The Rise of Science in Medicine, 1850–1913". 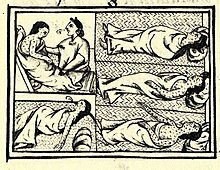 The Western Medical Tradition: 1800–2000. Hardy, Anne; Jacyna, Stephen; Lawrence, Christopher; Tansey, E.M. Cambridge University Press. pp. 198–99. ISBN 978-0-521-47565-5. ^ Pick, Daniel (1993). Faces of Degeneration: A European Disorder, c. 1848–1918. Cambridge University Press. ISBN 978-0-521-45753-8. ^ Ray, L.J. (1981). "Models of madness in Victorian asylum practice". European Journal of Sociology. 22 (2): 229–64. doi:10.1017/S0003975600003714. PMID 11630885. ; Cox, Catherine (2012). Negotiating Insanity in the Southeast of Ireland, 1820–1900. Manchester University Press. pp. 54–55. ISBN 978-0-7190-7503-2. ; Malcolm, Elizabeth (2003). "'Ireland's Crowded Madhouses': The Institutional Confinement of the Insane in Nineteenth- and Twentieth-Century Ireland". In Porter, Roy; Wright, David. The Confinement of the Insane: International Perspectives, 1800–1965. Cambridge University Press. pp. 315–33. ISBN 978-1-139-43962-6. ^ Hayward, Rhodri (2011). "Medicine and the Mind". In Jackson, Mark. The Oxford Handbook of the History of Medicine. Oxford University Press. pp. 524–42. ISBN 978-0-19-954649-7. ; Scull, Andrew (2005). Most Solitary of Afflictions: Madness And Society in Britain, 1700–1900. Yale University Press. pp. 324–28. ISBN 978-0-300-10754-8. ; Dowbiggin, I. (1992). ""An exodus of enthusiasm": G. Alder Blumer, eugenics, and US psychiatry, 1890–1920". Medical History. 36 (4): 379–402. doi:10.1017/S002572730005568X. PMC 1036631. PMID 1435019. ; Snelders, S.; Meijman, F.J.; Pieters, T. (2007). "Heredity and alcoholism in the medical sphere: The Netherlands, 1850–1900". Medical History. 51 (2): 219–36. doi:10.1017/S0025727300001204. PMC 1871693. PMID 17538696. ; Turda, M. (2009). ""To end the degeneration of a nation": Debates on eugenic sterilization in inter-war Romania". Medical History. 53 (1): 77–104. doi:10.1017/S002572730000332X. PMC 2629178. PMID 19190750. ^ Friedrich Katz, The Life and Times of Pancho Villa. Stanford: Stanford University Press 1998, 292. ^ "Henry Norman Bethune Biography". Encyclopedia of World Biography. Thomson Corporation. (Subscription required (help)). ^ Scull, Andrew (2005). Most Solitary of Afflictions: Madness And Society in Britain, 1700–1900. Yale University Press. p. 281. ISBN 978-0-300-10754-8. ^ Jones, Kathleen (1993). Asylums and after: a revised history of the mental health services: from the early 18th century to the 1990s. Athlone Press. p. 116. ISBN 978-0-485-12091-2. Porter, Roy (1997). The Greatest Benefit to Mankind: A Medical History of Humanity from Antiquity to the Present. Harper Collins. ISBN 978-0-393-31980-4. Rousseau Rousseau, George S., ed. (2003). Framing and Imagining Disease in Cultural History. Basingstoke: Palgrave Macmillan. ISBN 978-1-4039-1292-3. With Miranda Gill, David Haycock and Malte Herwig. Andrews, Jonathan (2011). "History of Medicine: Health, Medicine and Disease in the Eighteenth Century". Journal for Eighteenth-Century Studies. 34 (4): 503–15. doi:10.1111/j.1754-0208.2011.00448.x. PMC 4113931. PMID 25083003. Chaplin Simon (2016). "Why Creating a Digital Library for the History of Medicine is Harder than You'd Think!". Medical History. 60 (1): 126–129. doi:10.1017/mdh.2015.83. PMC 4847390. PMID 26651203. Lo, Vivienne (2009). "But is it [History of] Medicine? Twenty Years in the History of the Healing Arts of China". Social History of Medicine. 22 (2): 283–303. doi:10.1093/shm/hkp004. PMC 3304084. Senfelder, Leopold (1911). "History of Medicine" . Catholic Encyclopedia. 10.